When you're in the mood for a delicious pomegranate-flavored cocktail, the Pama martini is an excellent choice. It's a fantastically fruity vodka martini that can be found on many drink menus in bars—sometimes under the name "pom martini"— and it's very easy to make at home. Pama is the featured ingredient in this simple martini, and it's a signature recipe for the brand. The popular pomegranate liqueur is combined with your favorite vodka and a hint of orange liqueur. What you get is a semi-sweet drink with the taste of fresh pomegranate that mixes up quickly. It's quite lovely and a great cocktail for any occasion. Strain into a chilled cocktail glass and garnish with a lemon zest. For the best tasting pomegranate martini, choose high-quality ingredients. Pama is a premium liqueur and it deserves to be paired with vodka of equal quality, especially considering that the two are poured in equal amounts. Top-shelf vodkas are not hard to find and many are surprisingly affordable, given the smooth taste they offer. You can opt for one of the better-known brands like Chopin, Grey Goose, and Ketel One, or explore some of the impressive craft vodkas available today. If it's a vodka you wouldn't mind sipping straight, it will make a great martini. Your choice in orange liqueur should be considered just as carefully. Steer clear of cheap bottles of triple sec and curaçao and spend a little more for an upgrade. Brands like Cointreau, Marie Brizard, and Grand Marnier are great options, though there are many more. Keep in mind that you'll use orange liqueur all the time in the bar—from margaritas to mimosas—and a small investment can improve countless cocktails. The Pama martini was, obviously, designed to be made with that brand specifically, but there are other nice options. Pomegranate has become one of the hottest flavors in the bar over the years and distillers have done a fine job of following this trend. Explore your local liquor store's offerings and try out any brands that may be unfamiliar to you. Chateau Pomari, Gabriel Boudier, and Giffard are a few worthy pomegranate liqueurs to consider. No pomegranate liqueur? Turn to that trusted bottle of grenadine to make a pomegranate martini. The syrup is going to be sweeter and more concentrated than the liqueur, so it's not an even substitute. Instead, shake 1 1/2 ounces of vodka, 3/4 ounce of orange liqueur, and 3/4 ounce of grenadine. Adjust the ingredients to your taste. If you enjoy a DIY project, you can also try your hand at making your own pomegranate liqueur. It's no more difficult than any other homemade liqueur and can even be as simple as making grenadine, then adding 1 cup or more of that to a bottle of vodka to suit your taste. You'll find it to be a fun experiment when pomegranates are in season and it's not a bad way to spend a winter afternoon. How Strong Is a Pama Martini? 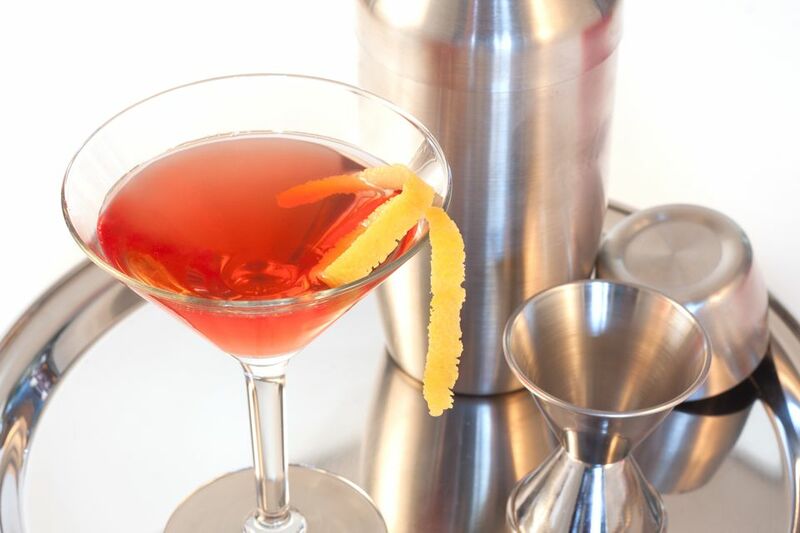 As you'll find with most martinis, the Pama martini is a pretty strong drink. When made with an 80-proof vodka, the alcohol content should fall into the 25 percent ABV (50 proof) range. That's perfectly normal for this style of cocktail and, if you've ever had one too many cosmopolitans, you know that the alcohol can sneak up on you!